This morning, Turtles from Year 5 performed their class assembly, reflecting on their work throughout this half-term and the learning and successes along the way. The children began by explaining their work on “The Lion, the Witch and the Wardrobe,” including writing diaries, using connectives and including paragraphs too. Author Mr ThornsPosted on October 20, 2017 October 21, 2017 Categories Whole School, Year 5Tags AspireBelieveConquer, Assembly, Celebration, FindingOut, Parents, Performance, Teamwork2 Comments on Turtles Class Assembly! This morning saw Starfish class perform an amazing assembly based on their topic of SUPERHEROES! 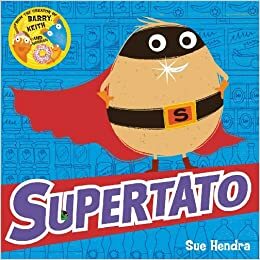 Filled with brave and interesting heroes from around the world, in movies, comics and on the TV, the children in Starfish class presented their recent work on Supertato. The children also retold part of the Supertato story, including the rescue of the fruit and vegetables from the Evil Peas! Thank you to Starfish class for a super-hero-tastic assembly! Leave a comment below to let us know what you thought of the assembly too! Author Mr ThornsPosted on June 30, 2017 June 30, 2017 Categories Whole School, Year RTags Assembly, FindingOut, Learning, Performance3 Comments on Superhero Starfish Assembly! During the assembly, the children spoke about different animals from around the world, which they have been working on in class. Other children spoke about what animals eat and how they travel around. They also spoke about their trip to Marwell Zoo and the different animals that they saw there. Well done to everyone for a fantastic assembly! Leave a comment below to let us know what you think. Author Mr ThornsPosted on June 9, 2017 Categories Whole School, Year 1Tags Assembly, Dance, Fun, GoodLearners, Performance, TeamworkLeave a comment on Amazing Angelfish Class Assembly!